Hi everyone! 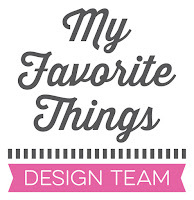 Welcome to the third session of My Favorite Things’ Summer School. 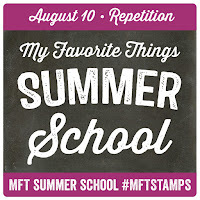 Each day this week, MFT will be teaching free mini-classes. Head over to the MFT blog to read more and watch the video tutorials. There are also fantastic prizes to win! I created a background using a splatter I found in the DC Jumbo Abstract Art stamp set. 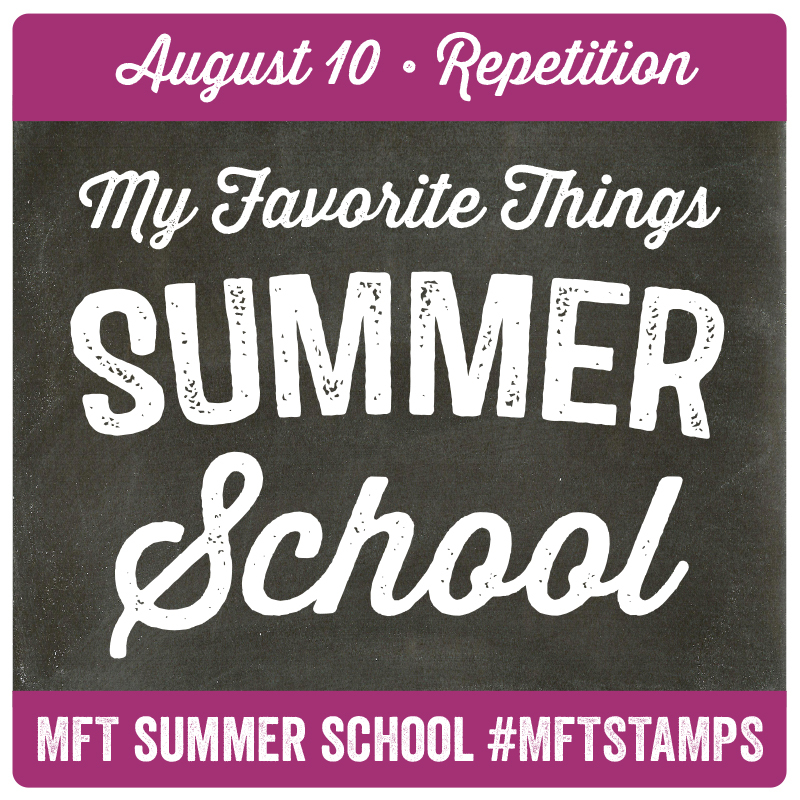 I stamped it 6 times with MFT dye inks (Razzle Berry, Orange Fizz, Daffodil, Limelight, Blu Raspberry, Grape Jelly). 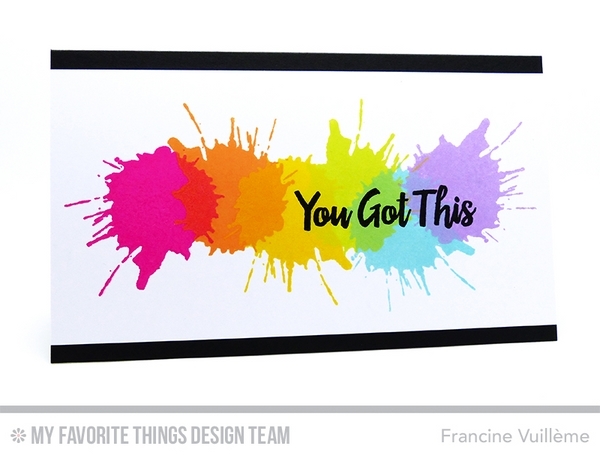 I then stamped the "You Got This" sentiment from the Encouraging Words set in Black Licorice dye ink. Bright and colorful! The splatters look so cheery in a rainbow of colors! Thanks so much for sharing! Franchine - wie cool ist das denn schon wieder?! Die Karteist ja im Grunde schlicht - aber die hat ne umwerfende Wirkung. Bäm, knallen einem die Farben entgegen. Du hast ein wunderbares Talent diese Megakontraste auf eine Karte zu bringen. Ich bin schwer beeindruckt! Einfach super cool, was du daraus gemacht hast! Tolle Farben mit einer super Wirkung! Wonderful, gorgeous explosions of color on this fantastic card!! Love it and you are so amazing! !